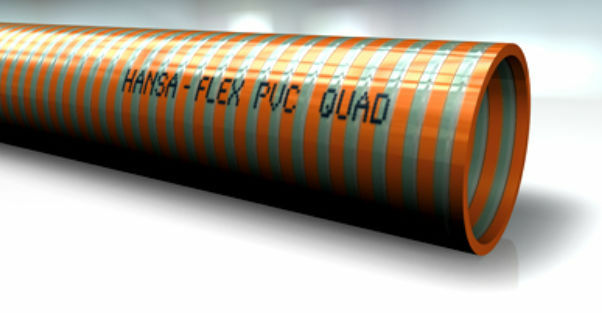 The orange PVC Quad is a PVC suction/delivery hose intended for use in agricultural technology. Its inner layer is PVC and its insert is a rechteckige PVC-Spirale and anthrazit. The outer layer is also PVC. Special features include versatile use, good weight reduction and a smooth outer cover. Minimum to maximum temperature is -25 to 60 degrees Celsius.